Lauren Williams is the Senior Manager for WRI’s Forest Program in Central and West Africa based in Kinshasa, Democratic Republic of Congo. 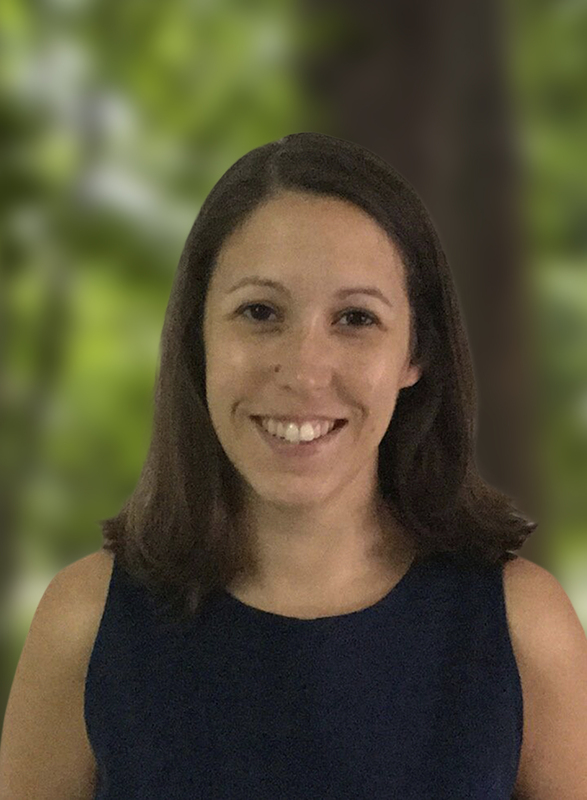 She leads strategy development, fundraising, and program implementation across WRI’s country programs in the region, focusing on forest cover monitoring, land use planning, community forestry and other natural resource management challenges. She also manages partner relationships with government, local civil society, and other international NGOs and technical partners. Lauren has also served as Chief of Party for WRI’s USAID-funded Strengthening Central Africa Environmental Management and Policy Support (SCAEMPS) project in Democratic Republic of Congo and Republic of Congo, leading WRI’s teams in DRC and ROC to strengthen natural resource management and governance. Prior to serving as COP, Lauren worked in WRI’s Governance Center and the Forest Program to lead policy and governance work in the Congo Basin. In these roles, her work focused on analyzing forest policies, providing technical support to local partners and staff, and developing analytical tools and research methodologies to strengthen natural resource governance through research and advocacy. Prior to joining WRI, Lauren worked in molecular biology research at Duke University Medical Center. She has also interned with the North Carolina Sierra Club and World Wildlife Fund-US in Washington, DC. Lauren holds a Masters in Environmental Management from the Yale School of Forestry and Environmental Studies, where she was a Doris Duke Conservation Fellow. She holds undergraduate degrees in Biology and French from Wake Forest University. INSIDER: Why Is Good Forest Governance Crucial for Successful REDD+ Programs? The world’s forests and the people who depend on them face a host of challenges—including deforestation, rural poverty, and degradation of critical ecosystem services. These negative outcomes are often exacerbated by weak forest governance, including low levels of transparency and participation in forest decision-making and as well as poor oversight of forest activities. To tackle these issues, decision-makers need better information about the institutional, political, and social factors that drive governance failures. An updated tool from WRI’s Governance of Forests Initiative aims to help policy-makers, civil society organizations, and other forest stakeholders evaluate governance of their countries’ forests. Assessing Forest Governance: The Governance of Forests Initiative Indicator Framework updates the original GFI indicators, which were published in 2009 and piloted by WRI’s civil society partners in Brazil, Cameroon, and Indonesia. Using the indicators, stakeholders can identify strengths and weaknesses in forest governance and develop reforms that benefit both people and planet. Since 2009, more than 30 countries have submitted proposals for REDD+ readiness grants to start addressing the social, economic, and institutional factors that contribute to forest loss. Many countries have made encouraging strides in defining their plans to become “ready” for REDD+. Yet, in a new WRI analysis of 32 country proposals, we identify the need for stronger commitments and strategies to address land and forest tenure challenges. While most countries identify secure land tenure as critical to successful REDD+ programs, relatively few outline specific objectives or next steps to address weaknesses in land laws or their implementation. Lack of clear strategies to address land tenure challenges could significantly hinder efforts to reduce emissions from deforestation and forest degradation. The new working paper from WRI’s Governance of Forests Initiative reviews 32 readiness proposals submitted to two grant programs supporting REDD+ readiness: the Forest Carbon Partnership Facility (FCPF) and the UN-REDD Programme. We reviewed these documents to assess how REDD+ countries plan to address eight core issues (see Box 1 below). The analysis sheds light on how REDD+ issues are understood and prioritized, as well as where more technical and financial support is needed. The Forest Investment Program (FIP) is a targeted program within the framework of the Climate Investment Funds that supports developing countries' efforts to reduce deforestation and forest degradation (REDD). The FIP Results Framework is a tool to monitor and evaluate the implementation of FIP funds. Following are WRI's comments suggesting ways to improve the FIP Results Framework. This working paper analyzes developed country experience to date in relation to implementation of the LULUCF (land use, land use change and forestry) provisions of the Kyoto Protocol.